Design experts across the country have weighed in on the trends we can expect to see more of in the year ahead. Here is a curated collection of our favorites. Hint: there are bold things in store for 2018! From ship lap to reclaimed wood, paneling to wainscoting: wall treatments and millwork are en vogue for 2018. 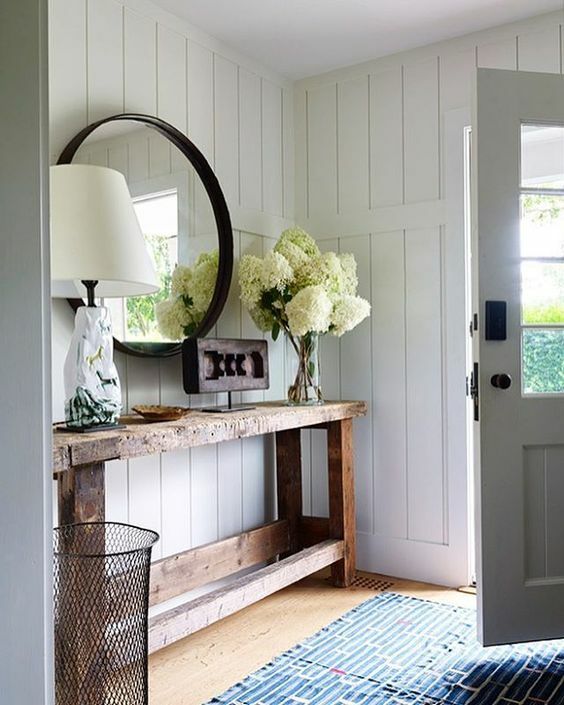 Keep things cohesive by selecting one type of treatment (paneling, for example) and repeating it in a few areas of the home. Wall treatments are a great way to create interest in smaller areas, like a powder room, entryway or mud room. Black is back in a big way. 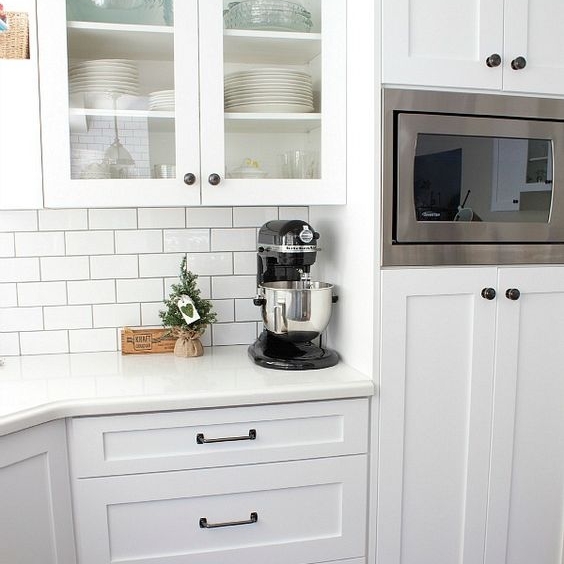 We're particularly enthralled with black door hardware, but we're also seeing more and more options for black cabinet hardware and even plumbing fixtures. Black is a great way to add "pop" to otherwise all-white kitchens, hallways and baths. Every tone, every size, every material and every shape. Lighting is having a renaissance! We particularly love statement fixtures, like the one shown above, in brass and black tones. Go bold, or go home. 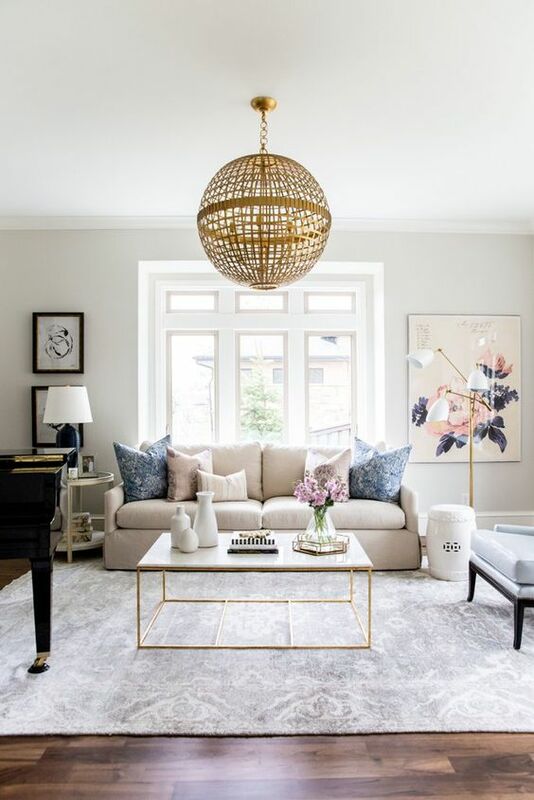 Lighting is the perfect way to add a little oomph to any room. Don't fret (or cheer) quite yet - gray is not gone. But we are seeing an intentional mix of warmer tones (creams, beiges, greiges) with grays to create richness and depth. We'll continue to see cool grays phase out and warmer tones phase in, resulting in a healthy mix of both for everyday living. Welcome back, bright hues! Oh, how our neutral rooms have missed you. 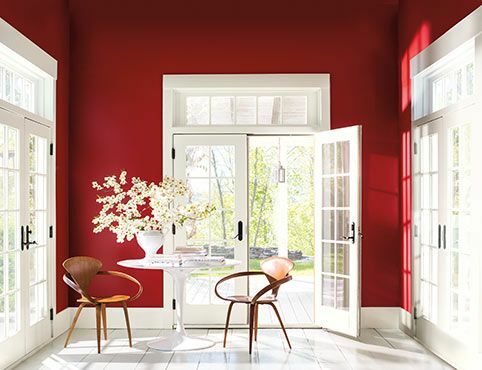 In particular, we're adoring Benjamin Moore's Color of the Year, Caliente (shown above). Blues, greens and oranges are popping up all over the design community, as well. Looks like it'll be a beautifully bright year! What trends are you loving and trying for 2018? Tell us about it on Facebook!